Drive through any neighborhood or search online in neighborhoods that have homes for sale and you will find the same thing. Within the same area there are homes that are selling while others sit, sometimes for months without selling. The number #1 Variable that determines whether a home will sell or sit is the demand that is created for the property. A Real Estate Agent's primary objective should be to create a lot of demand for the property in order to not only to generate an offer but to also sell for the highest price possible. In order to create demand for a property, there must be a specific written marketing plan for that type of property. If there is not a specific plan for the property the agent is probably using a "one size fits all" approach. This is ineffective because it's relying on luck to generate an offer. Think about the hundreds of different types of of property that exist in the Puget Sound right now. There is a different type of buyer for each one. Simply putting a property on the MLS and hoping it sells is like getting in the car and driving for hours and hoping you end up where you wanted to go. In absence of an effective marketing program, many agents will turn to lowering the asking price as a strategy to sell. While lowering the asking price will typically generate more interest it also impacts the bottom line that the seller is most concerned with. In short, if the only marketing plan that an agent has, is solely based on pricing, the only one that wins is the agent. Selling a home for the highest price possible requires that you hire an agent with a proven track record of selling properties like yours, along with a written marketing plan. If you start there, the agent will help you determine what the best pricing strategy is which will allow you to sell for the highest price possible the the time frame that works for your plans. When deciding on the pricing a home for sale there is no perfect science. 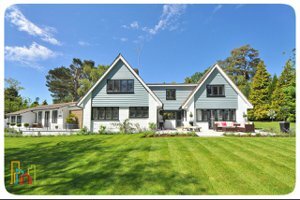 The local MLS provides hard sales data to look at but every home is unique so making subjective comparisons to similar homes is extremely important. No homeowner or real estate agent knows about every nuance in the market. It's very difficult to know whether the perfect buyer is out there waiting or what interest there will be at a particular price without putting your home on the market and exposing it to all the motivated qualified buyers actively looking. With years of attention and experience, watching hundreds of homes as they go on the market and either sell, sit or expire, we have put together the most common pricing strategies to help you determine how to best position your home and what reaction you can expect from potential buyers. The home is priced well above others in the market with similar characteristics and very few buyers view the property. If no one is coming to see your home, it could mean one of two things. 1. Buyers think your home is so overpriced that it isn't worth even seeing. 2. Buyers like the house and would love to view it buy it but are scared off by the price and subsequently talk themselves out of coming to see it. Many times buyers show interest in a wide number of homes when viewing properties for sale. Many will look at all homes on the market within a given price range to get a good idea about what they can afford and where. Homes they believe to be overpriced by comparison shopping get little interest or skipped all together. Most buyers need a home to be close to their budget or they will not even bother viewing it let alone writing an offer. If your home would be perfect except they need to get $100,000 off the price, they are going to wait for a price drop or just move on. Negotiating a large discount is rare so many agents will discourage their clients from writing offers when the pricing gap is large. In many circumstances when pricing at the high end of fair market value it can take anywhere from a few weeks to a few months to get an offer in this price range. Motivated buyers may still write an offer if the house is unique or special in some way but may sill want to negotiate believing your price is on the higher end of fair market value. Many times, buyers wait a few weeks to see if there are better options or until there is more days on market and they have more power to negotiate. When homes are priced right magical things happen, you will quickly generate some buyer excitement and urgency to the listing. You may even get multiple offers in the first few days or weeks. A quick sale could happen, but most buyers will compete at or near the list price. There could be an appraisal or value concern if the price goes significantly higher, however there is the competing realization that the home may not be on the market very long. When homes enter the market below fair market value they are sure to generate competition among buyers, even in down real estate markets. Pricing the home even 10% bellow the market will cause the market to correct the pricing and bring the price up to fair market value. Bidding wars are not uncommon in this price range and you may find yourself in the middle of one. Summery: Home pricing can make a sale easy or hard. Every home on the market can fit into one of these categories. It is up to the homeowner to work with their agent to develop a strategy that works for both the desired time frame and needs. It becomes quickly clear when you have priced your home wrong when other homes keep selling and you have no offers and few showings. To get a home sold successfully, pricing at or slightly below fair market value will get it done in the best amount of time with least amount of hassle and with the most money in your pocket. Pricing high is a huge waste of time and will inevitably lead to a less desirable final outcome as you continually drop your price to attract buyers that have already moved on. Pricing a home is ultimately determined by the goals of the seller. Motivated sellers that are moving out of the area or trying to purchase another home are usually motivated for a quick sale, so pricing needs to reflect those goals. Sellers, who can afford to wait it out, may price it a bit higher and wait for that right buyer to write an offer. Just remember, if the wait getting long, the market is sending you a clear signal that you should adjust your pricing to be competitive. Drive through any neighborhood or search online in areas that have many homes for sale and you will see a common theme. In the same area, there are homes that sit for months while others sell quickly. The primary difference that determines if and when a home sells is the demand that's created for the property. The more exposure, the more demand, and the greater number of offers. This equals the best opportunity for the owner to sell their home for the highest possible price. To create this demand, there must be a specific marketing plan to expose the home to the maximum number of qualified buyers. If there is no specific plan, the agent is likely using a one size fits all approach. This “strategy” relies on luck, not planning to generate an offer. Typical agents use a passive approach to marketing and simply believe putting a property on the MLS, holding an open house, and putting some flyers out is enough to generate sufficient demand. This is like putting your car in drive, taking a nap, and hoping you getting to where you want to go with the best results. Without a smart and active marketing plan, many agents will turn to lowering the asking price as a strategy to sell. While lowering the asking price will typically generate more interest, it also impacts the owners bottom line. In short, if the only marketing plan that an agent has, is solely based on pricing, the only one that wins is the agent and the buyer. To get the best results, any great agent will drive a smart and active marketing plan that is based on the homes unique features and is tailored to the most likely buyers in the area. This active marketing is needed to expose the property, create interest and demand, and sell the home for the highest price possible in the right time frame. In addition to a unique marketing plan, an agent that communicates frequently about the progress, feedback, and data will be best positioned to give owners real visibility and the tools to make the right decisions. 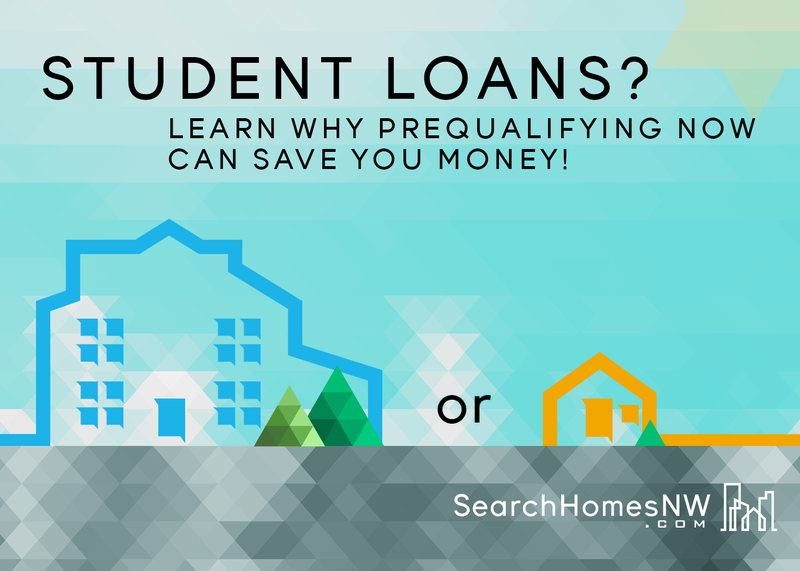 After June 30th 2016, it will be more difficult for those with income adjusted student loan payments to qualify for a FHA Mortgages. Find out how much home you can afford and get pre-approved before these change go into effect by contacting your mortgage broker sooner rather than later. In order to qualify for the current, more favorable loan guidelines, FHA case numbers must be registered by June 30th. Bidding wars are very common in the current real estate market, most notably when it comes to higher-end properties that are in desirable locations. More recently, in the Seattle area aggressive bidding wars are more prevalent and can be very nerve-racking, even discouraging if you are on the losing end. Having watched hundreds of bidding wars over the past several years, there are a few results that are seen more often. The bidder coming in with the crazy offering price makes the decision simple – money almost always wins. It is not uncommon to have multiple winners. In a typical batch of offers, there are usually low, medium and aggressive bidders with the aggressive bids landing in an extremely similar price range. When the money doesn’t sway the seller, typically they will look at other terms or intangible factors, some of which may be surprising to the buyers. Let’s take a look at a few different scenarios, say a home is listed at $500,000 and the seller receives two separate offers up to $525,000. 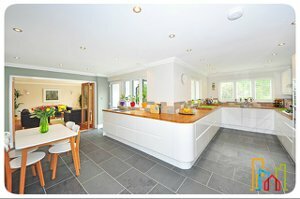 The seller now has a decision to make, but how? This is a situation in which the size of the down payment can make all the difference. As the bids came in Buyer A is currently able to put down a 20% down payment while Buyer B has 30% to put down as payment. This is a situation in which Buyer B will typically win. Even though both buyers are well qualified, sellers typically equate larger down payments to lower risk. As the real estate markets heat up, it is normal to have competitive buying situations and bidding wars. Sometimes referred to as an escalator, an escalation clause lets the buyer say I will pay (x) amount of dollars for this home, and if the seller receives another offer that is higher than mine, I am willing to go up to (y) price. This is a situation in which the buyer with the higher initial bid will most likely come out on top. If Buyer A decides to place an offer on a house for $510,000 with an escalation clause of $525,000 and Buyer B places a similar offer of $495,000 with an escalation clause of $525,000, Buyer A shows more of an interest in the house. 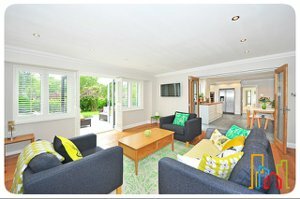 When these two offers came in, Buyer B had an initial offer of $15,000 less than Buyer A. The seller sees there more interest in the home from Buyer A and possibly might even question as to why Buyer B came in so much lower than the asking price. Especially if in the past all the other offers are coming in much higher. One thing buyers love to use is an escalation clause. It gives them the ability to remain very competitive on the price without significantly over-paying. 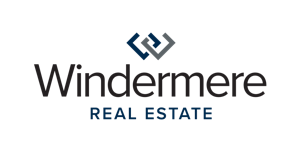 If two buyers enter a bidding war, one coming in at the asking price of $500,000 with and escalation clause of $525,000 and the other buyer comes in with a bid of $525,000 with no escalation clause, the seller will side with the higher bidder. This usually tells the seller that the higher bid has a genuine interest in the house. While this may not seem like a rational view, this is a very common scenario that has played out many times. When dealing with high-priced homes, usually a few thousand dollars is not enough to sway a seller one way or the other. One advantage a buyer can leverage in this scenario is to get a little creative. Attaching a personal letter to the bid describing how much you admire the sellers home may be enough to tip the scales in your favor. Personal letters to the seller can sway their decision! Sellers typically will respond well to personal appeals. Writing a letter attached to an offer talking about how much you love the house and how you can see a future there for yourself and your family can carry a lot of weight. Selling a home is usually an emotional task, many times the seller wants their home to go to an owner who adores the home as much as they did, and also fit in as a good neighbor. In a tough market, a little compassion can sway the vote in your favor. As corny as this may sound, it may be the clinching factor in deciding who gets the home. Who is most obsessed with the house? Another tactic a buyer can leverage, especially if they really adore the home is to make multiple visits. Having an agent that is well-organized and is constantly in contact with the seller’s agent, shows them that there is genuine interest in this home. When entering a close bidding war, it is not always about the money, but how the game is played.